Designed to accommodate large families, the 2018 INFINITI QX60 is a full-size crossover SUV with three rows. The 2017 INFINITI QX70 is a mid-size crossover SUV with two rows of seating. Both of these family vehicles run on powerful V6 gasoline engines and the Intelligent All-Wheel Drive. Read on to find out more details on the performance, styling and technology of the QX60 and QX70 models. Displacing 3.5 L on every stroke, the V6 engine in the 2018 INFINITI QX60 produces 295 horsepower and 270 pound-feet. The 2017 INFINITI QX70 is powered by a 3.7 L V6 engine that generates 325 hp and 267 lb-ft. Every action in the valvetrain is directed by the Variable Valve Event and Lift technology. Both engine blocks are supposed to run on premium unleaded gasoline. Instead of relying on a fixed number of ratios in the gearbox, the INFINITI QX60 has a continuously variable transmission with electronic controls. A manual setting with several custom sequences is integrated into this advanced CVT. If you’d like to further customize the parameters of the transmission, just use the Drive Mode Selector. The INFINITI QX70 runs on an electronically controlled automatic transmission system with seven speeds. Depending on road conditions, the Adaptive Shift Control will calibrate the gear combinations. You can also seamlessly switch among several manual modes in this automatic transmission. Additionally, the Downshift Rev Matching optimizes the gear ratios for stability on elevated terrains. Magnesium-covered paddle shifters make it easy to control the gearbox in the INFINITI QX70. This versatile INFINITI crossover SUV comes standard with the Snow Mode that manages the throttle to overcome slippery roads and trails. When fitted with the Intelligent All-Wheel Drive, the INFINITI QX60 and INFINITI QX70 maintain excellent traction on multiple surfaces. Having three rows of seats, the 2018 INFINITI QX60 naturally has a longer and wider body than the 2018 QX70 that comes with five seats. The elongated profile of the INFINITI QX60 has an elegant and sophisticated design that’s suitable for urban and suburban areas. The QX70 has a sporty profile with an aggressive stance that’s optimized for great aerodynamics. This sleek model is available in Hagane Blue, Malbec Black and Majestic White. The exterior paint options for the QX60 include Hermosa Blue, Black Obsidian and Graphite Shadow. Both INFINITI crossover SUVs have LED bulbs in the daytime running lights, brake lights and center high-mounted stop lights. Featuring the Auto-Leveling technology, the Adaptive Front Lighting is optional in the QX70. An 8.0-inch WVGA display with a touch-screen menu is available in the 2018 INFINITI QX60 and QX70. The Lane Guidance feature enhances the directions that appear on the GPS navigation system. You could also get up-to-the-minute traffic and weather updates on SiriusXM Travel Link and Traffic. A subscription to NavTraffic and NavWeather is optional in the INFINITI QX70, which also has a navigation platform with 3-D maps. Both INFINITI deliver awesome entertainment on SiriusXM Satellite Radio. A 13-speaker sound system by Bose is optional in the INFINITI QX60, and an upgrade is available to 15 speakers with the Cabin Surround technology. Also carrying the signature Bose label, the sound system in the INFINITI QX70 comes standard with 11 speakers. Both INFINITI vehicles offer additional entertainment on dual headrest monitors that play movies and video games. Two wireless headphones and a remote control come with the rear entertainment system. Compatible with iPads and other devices, USB ports are also installed in these INFINITI cars. Centered in the instrument cluster of each vehicle, the Fine Vision electroluminescent gauges display important mechanical, audio, navigation and other information. 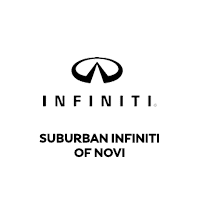 Stop at our INFINITI dealership today and check out a large inventory of INFINITI QX60 and INFINITI QX70 models. These premium crossover SUVs are available with technology packages and other optional amenities. * Actual mileage may vary with driving conditions – use for comparison only.